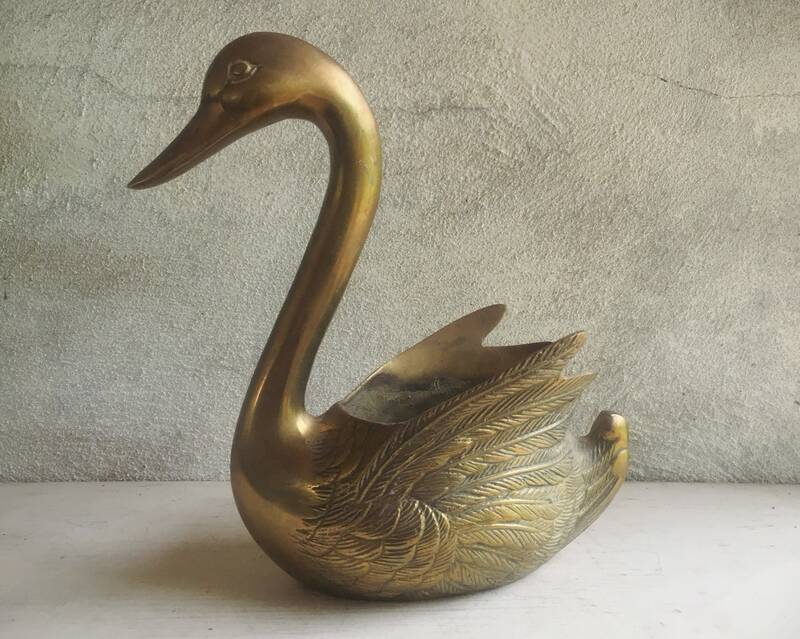 What a delightful piece, a graceful brass swan, fairly large with the most beautiful patina. 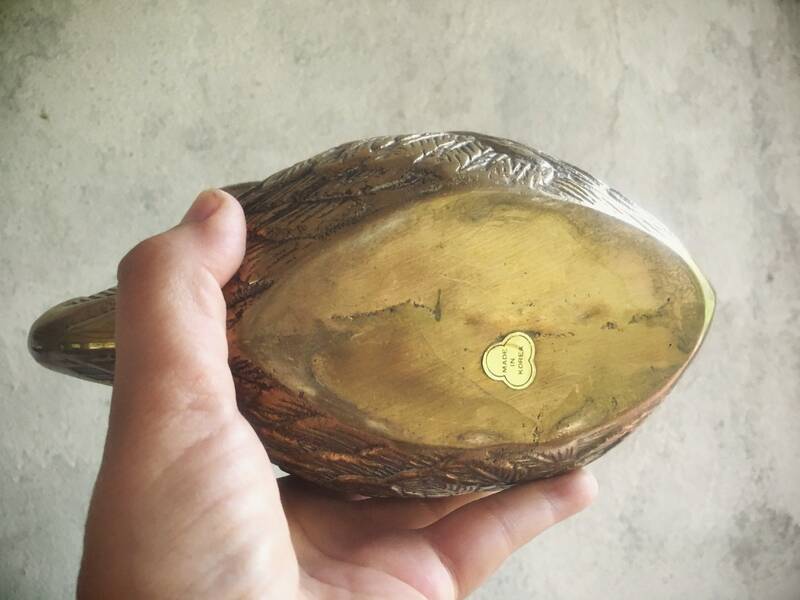 Still carries the Made in Korea gold foil sticker that tells us it was made in the 1960s to 70s, and it appears based on the wear and discoloration on the interior that it was used. 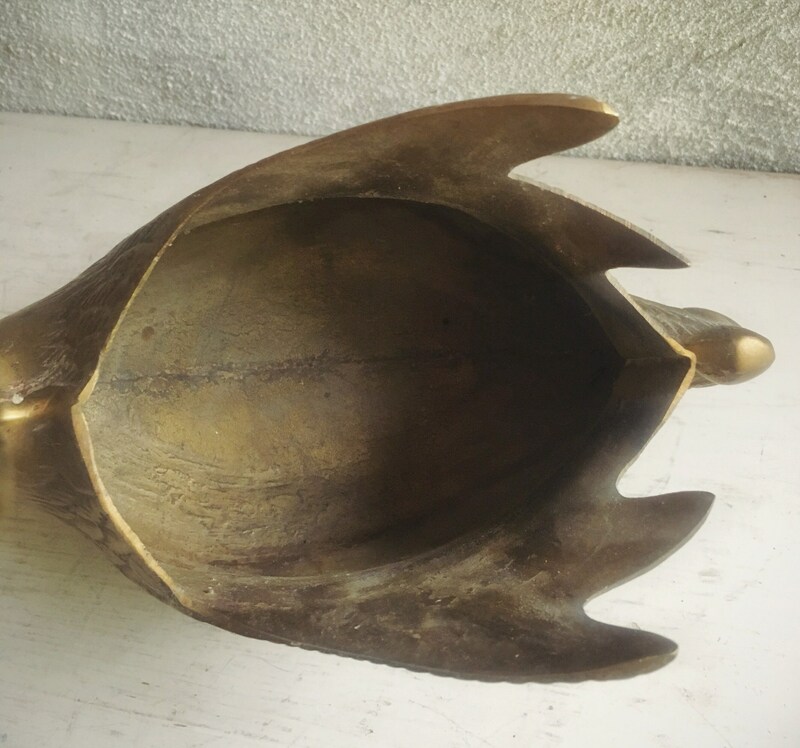 It does not have a drainage hole yet would work well with a plant that's in a plastic or other pot that fits inside, or with a large air plant. 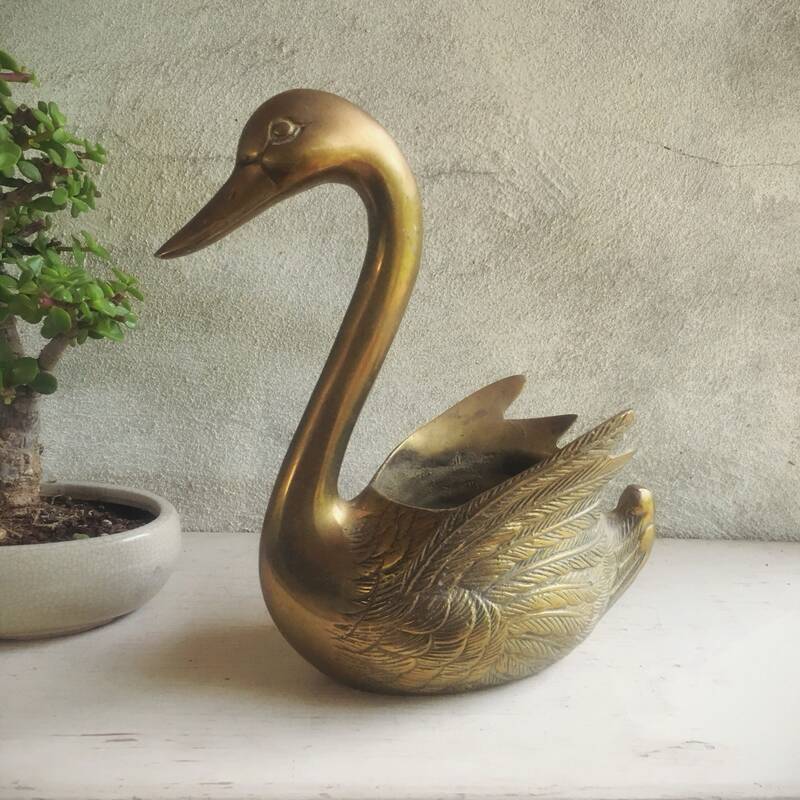 A lovely gift for someone who loves brass, perhaps someone with a knack for mixing vintage brass with plants and baskets to create a great leafy vignette, or for someone who loves birds. 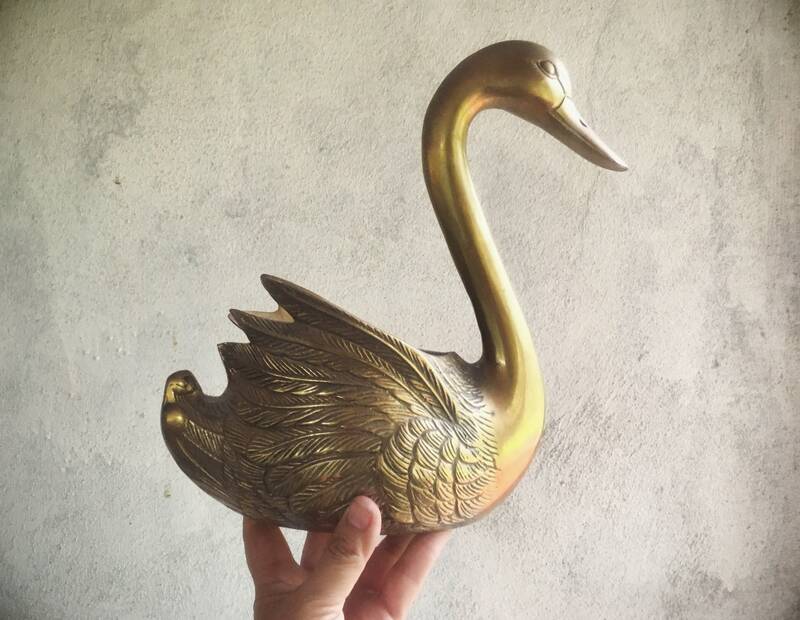 Works with many different decor styles. 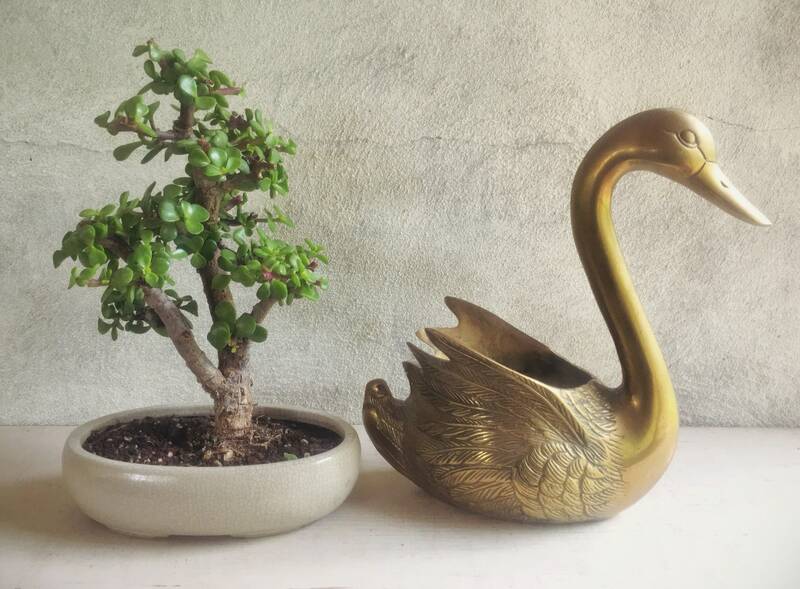 The swan measures just over 10-1/2" tall by about 9-1/2" across and 4" deep. While the opening is around 5" long by 3-1/2" wide, a 3" in diameter pot would be about the right size to set inside. 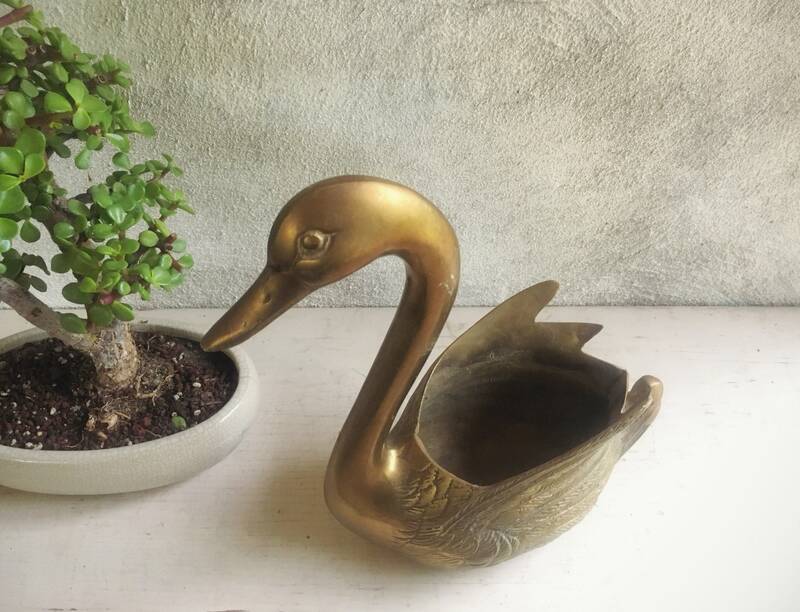 The interior does have stubborn water and dirt stains, so this is really a great piece for the person who plans to use it as a planter, as there will be no worries about staining the interior. Symbol of transformation and inner beauty.